When you come across a track that you would like to view again at another time, click on the heart next to the name of the track and it will be added to the favorites list found on your profile. Any time someone comments on your track, or a new comment is made on a track you've commented on, you will get a notification in the top-right corner of the screen. The gray bell will turn red and display the number of new notifications available. Click on the bell to view a list of your notifications. 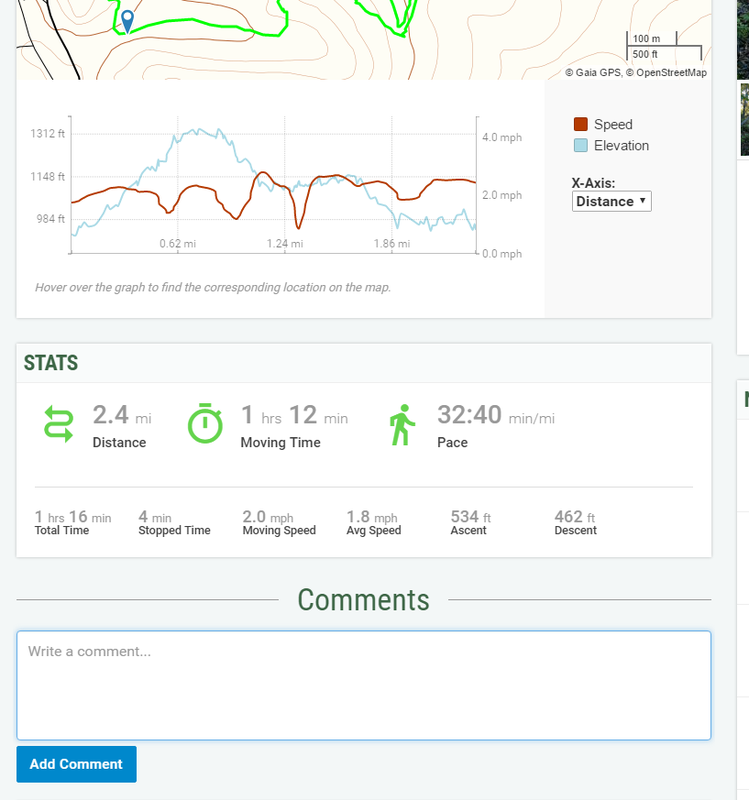 Underneath the Speed and Elevation profiles graph is a comments section for the track. This is a great way to discuss trips with the people who have posted them.